The Wright Rural Health Initiative (WRHI) strives to bolster the healthcare workforce in rural areas, particularly in rural West Central Ohio. To meet this goal, WRHI gives medical students from the Boonshoft School of Medicine at Wright State University, family nurse practitioner students from Wright State and doctor of pharmacy students from Cedarville University and Ohio Northern University opportunities to complete clinical experiences in the local area. 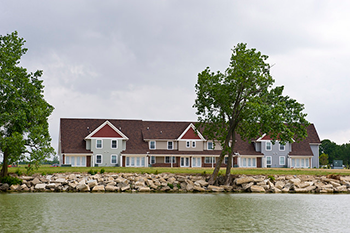 The WRHI works in collaboration with the Wright State University Lake Campus, located in Celina on beautiful Grand Lake St. Marys, about 90 miles northwest of the Dayton Campus. 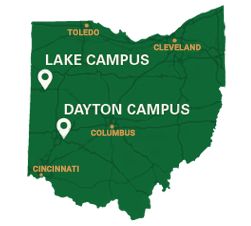 The Lake Campus is Wright State’s only regional campus, and it offers associate's, bachelor's and master's degree programs. The Lake Campus’ primary goal is to meet the educational needs of West Central Ohio residents. Learn more about the WSU-Lake Campus. (under the umbrella of the Mercer County Civic Foundation), as well as ongoing support from Wright State University’s Boonshoft School of Medicine, College of Nursing and Health and Lake Campus; Cedarville University; and Ohio Northern University. 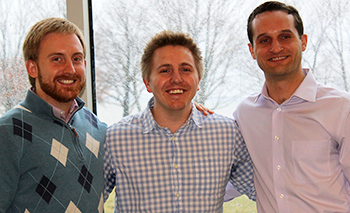 Medical students (L-R) Chris Champlin, Bryce Kerr and Michael Schneider participated in clerkships though WHRI. Third-year Boonshoft School of Medicine students interested in someday practicing in a rural area or who are just curious to experience rural medicine are highly encouraged to request a rural location for eligible clerkships. Currently, the entire six-week Family Medicine Clerkship and six of the eight weeks of the Surgery Clerkship (general surgery and a subspecialty) can be completed at a rural health system. Plans are underway to also offer Pediatrics (outpatient four weeks) and the Women’s Health Clerkships at rural sites. Space is limited and preference is given to those from a rural background and/or those who have a demonstrated interest in practicing in a rural area in the future. Pharmacy students from Ohio Northern University and Cedarville University can complete clinical experiences at several WRHI locations. Students from Cedarville should contact Thad Franz. 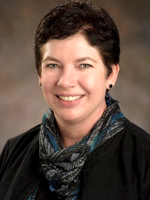 Pharm.D., and students from Ohio Northern should contact Jennie Grundey, Pharm.D., for more information about how to request a rural clinical rotation. Family nurse practitioner students from Wright State should contact Brenda Young, D.N.P., RN, VNP, for more information. Students who want to have a career in a rural setting. Students who want to experience health care in a rural setting. Student who appreciate a strong sense of community. Note: Opportunities for Pharm.D. and family nurse practitioner students exceed what is listed here. Please contact the appropriate person with your program for additional details. Grand Lake’s system includes Joint Township District Memorial Hospital in St. Marys and physician offices in St. Marys, Celina, Wapakoneta and Minster. Students who complete a clerkship with Grand Lake are welcome to live in a townhouse apartment at the Lake Campus. FHS is an federally qualified health center in Darke County. Its primary location is in Greenville, with additional offices in Versailles, Arcanum, and New Madison. Students who complete a clerkship are welcome to live in a house in Greenville provided by Wayne HealthCare. Boonshoft School of Medicine assumes the housing cost for its students and Cedarville assumes the cost for its students staying in the Lake Campus apartments. Each apartment is a four-bedroom, two-bath townhouse. Each student has a private bedroom and shares the bath with one other person. A common kitchen and living area is shared by up to four students. The apartment is fully furnished and has cable television and Wi-Fi. Students bring sheets (twin, extra long), towels, toiletries and food. There is a laundry facility in the complex that accepts the Wright 1 card. The townhouse has a semiprivate patio that looks out on the lake, so don’t forget to pack a lawn chair! Wayne HealthCare graciously donated this home for students completing rotations/clerkships at either one of its facilities or at Family Health Services. Residents have a private bedroom and may share the house with another WRHI students, a rotating physician or students from another program. As part of the WRHI, a new rural Family Medicine Residency Program position will be developed in the Lake Campus region. Health systems are currently completing applications to be considered to house the residency. It is anticipated that the residency will start in 2019. WRHI is looking to expand the number of clerkships that can be completed at a rural site, as well as adding additional sites. If you are a physician interested in becoming involved, please contact us for additional information. A new interprofessional education activity for medical, family nurse practitioner, and Pharm.D. students is being piloted in November 2016. This activity will become a quarterly experience for WRHI students. As clerkship opportunities expand, medical students in the WRHI will complete their rural clerkships in an integrated longitudinal format. This means students will be assigned a panel of patients to follow. Instead of completing six straight weeks of family medicine, students will see their assigned patients whenever they enter interact with the health system. Third-year medical students in the surgery clerkship who have an interest in learning about and working in a rural community now have the opportunity to spend part of their eight-week surgical rotation in the Wright State University Lake Campus as part of the Wright Rural Health Initiative (WRHI). 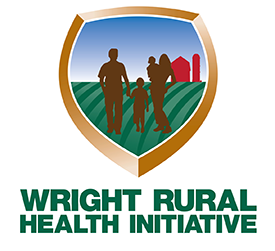 The WRHI is an initiative to bring more health care professionals to rural communities. “It has been long recognized that when students have the opportunity to live and work in rural communities during their professional training, they are more likely to select rural communities for professional practice,” said Dr. Robert P. Gill, physician advisor for Grand Lake Health System. Under the supervision of new clinical preceptors K. Lance Bryant, D.O., and Robert D. Keighley, D.O., of St. Marys Surgical Associates, students have the opportunity to observe and assist in surgical patient care at Mercer County Community Health Hospital in Coldwater, Ohio, and Joint Township District Memorial Hospital in St. Marys, Ohio. “The physicians treat you more like a first-year intern, than a medical student,” said Bryan Grove, MS3, the first student to rotate in the WRHI in surgery. “I was able to do a lot, and they really focused on my learning. I would definitely recommend the Rural Health rotation to other students,” he said. Third-year student Felipe Ayala had a similar experience. “Dr. Bryant and Dr. Keighley were eager to teach students. They actively challenged my critical thinking skills so that I can appreciate the importance of ethical and evidence-based clinical medicine,” he said. October 2016 Ayala also said he was given the privilege of being the first assist in many of the cases. “Even though I had little to no experience in the surgical field, they guided me every step of the way,” he said. “They wanted to instill confidence in me so that I would not second guess myself. Surgery involves being able to think critically and trusting in your ability to get through the procedure. Confidence is a crucial part of surgical medicine, as patients trust." Read "Med student experiences rural medicine," in the Daily Advocate, Dec. 29, 2016.